I recently posted a photo of my favorite new on-the-go lip balm on Instagram, and I was flooded with questions so I decided to respond to them all here! 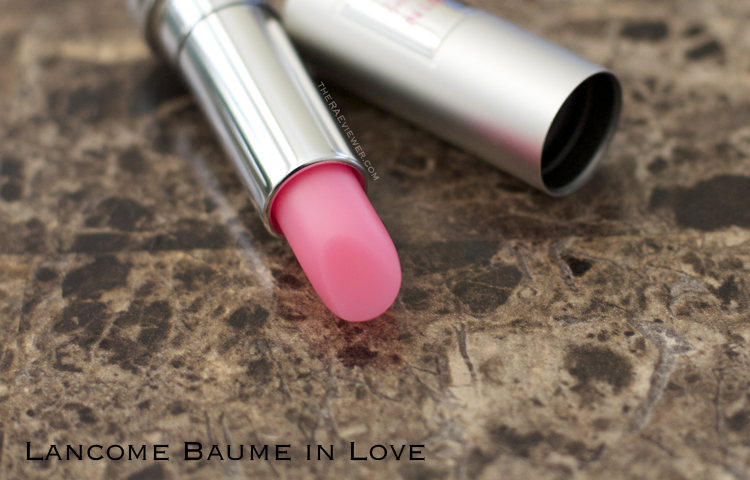 While at Nordstrom last week, I stopped by the Lancome counter to purchase one of their newest lip product offerings, the Baume in Love, $26. 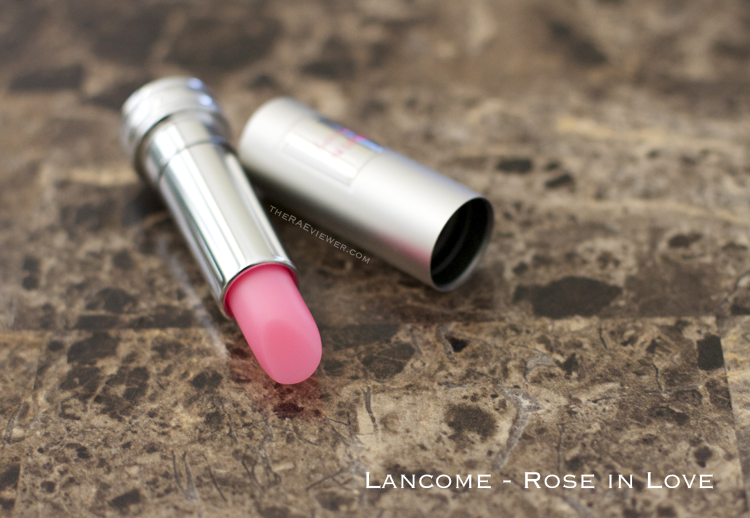 I have always had great luck with Lancome lipsticks, so I make it a point to try the new releases. This is a contemporary take on lip balm, since the element of surprise is the translucent neon bullet. Yes, it is bright in the tube but does not translate that way on the lips, making it ideal for daily use. See more photos and lip balm formula comparisons after the jump! The Baume in Love of my choice is Rose in Love, a baby pink, which is almost entirely sheer on my mauve-tinged lips. Rose in Love is perfect for no-makeup days because it does not call attention to your lips, and I have been sporting the bare face more and more often of late, so this balm has been a constant companion this past week. It is a shade intended for those with very pale lips or for those who do not care for much color. I purchased Rose in Love with full knowledge that it was nearly colorless on me, but I wanted a lip balm that I could toss in my bag--one in bullet form that would not lose its cap and melt all over my belongings. The sculpted metal packaging, which is nearly identical to the Rouge in Love lipsticks, clicks closed securely. As I wrote in my IG post, I love my La Mer and Sara Happ balms, but they are inconveniently packaged in pots, and I would rather not use my finger to dip into them when I am out and about (unsanitary). The Baume in Love has no scent or flavor. If you prefer scented balms, try the YSL Volupte Candy Sheer range. 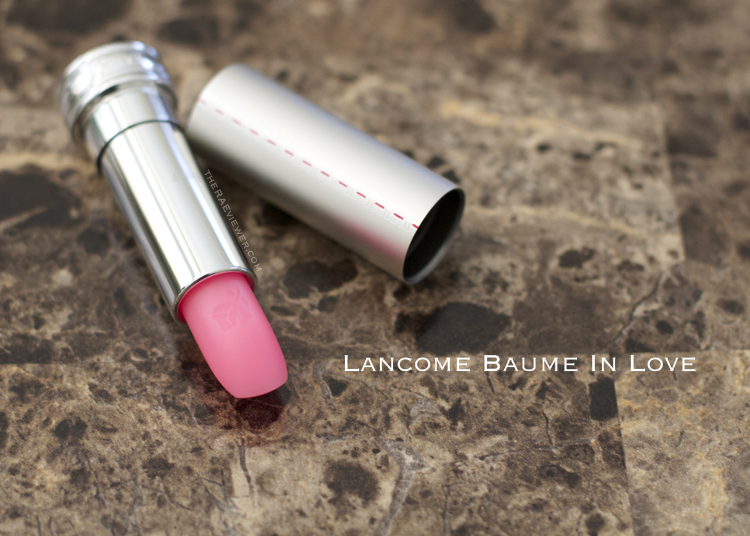 The Baume in Love does not leave any color residue behind in the crevices of my lips. Granted, Rose in Love in the palest and sheerest of the four shades available, but none of the other colors would leave behind patchy messes from what I could tell. I adore the bitten-lip effect, so I will be going back to the counter to pick up the more pigmented pink called Urban Ballet. Urban Ballet is a lovely bright pink that does show up well against my coloring, so it will suit my purposes for when I am craving a balm texture on a day when I am actually wearing makeup. I would highly recommend Urban Ballet or Midnight Rose, the purple bullet, if you are looking for more color from this balm range. Now, do keep in mind this product is still a lip balm. If you have found an affordable lip balm that satisfies all your requirements, this Baume in Love may not be the most useful splurge. For those on the hunt for the best luxurious tinted lip balm in bullet form for daily use, however, the Baume in Love may be just the thing for you! 1. The Baume in Love is nothing like Dior's Lip Glow. Both are lip balms in bullet form, but that does not make them equals. I cannot wear the Lip Glow because it turns my lips a very deep shade of fuchsia, which is not practical for a daily lip balm since I do not wear makeup daily. Also, I prefer the more fluid formula of the Baume in Love, which I find more hydrating. 2. The Baume in Love formula is a thicker, heavier balm. It is most similar to my night-time favorite, La Mer The Lip Balm. These are both ultra soothing balms, instantly comforting. Sara Happ's Lip Slip is the shimmery, high shine version of the aforementioned two. The YSL Volupte Candy Sheer and Chanel Hydramax balms are far lighter in texture and much glossier. 3. After initial application, the Baume in Love formula maintains its subtle glossiness for an hour (without eating or drinking). Reapply every three hours for best results. And rest assured, I will post swatches of both pinks this week once I pick up Urban Ballet. Urban Ballet is apparently not limited edition, but the other three shades are seasonal, so do stop by a counter and check out the colors for yourself! Bottom Line: The Baume in Love does cater to a particular crowd, but if you love a fun twist on a fabulous lip balm formula that is packaged flawlessly, you must give it a try. This is an amazing colour ! I have to get something like this !